Hold on–you’re about to discover an incredibly delicious easy Thanksgiving side dish, roasted garlic mashed potatoes. Simply roast whole garlic cloves until they’re creamy soft inside, and mash them into smooth fluffy starchy potatoes—guaranteed goodness right off the stove. 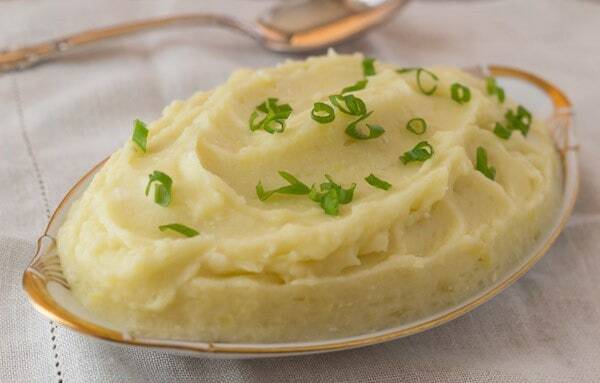 And–if you’re looking for a vegan mashed potato recipe–you’ve just found the perfect one! Soft roasted garlic is buttery sweet, no sharp raw garlic bite going on here. 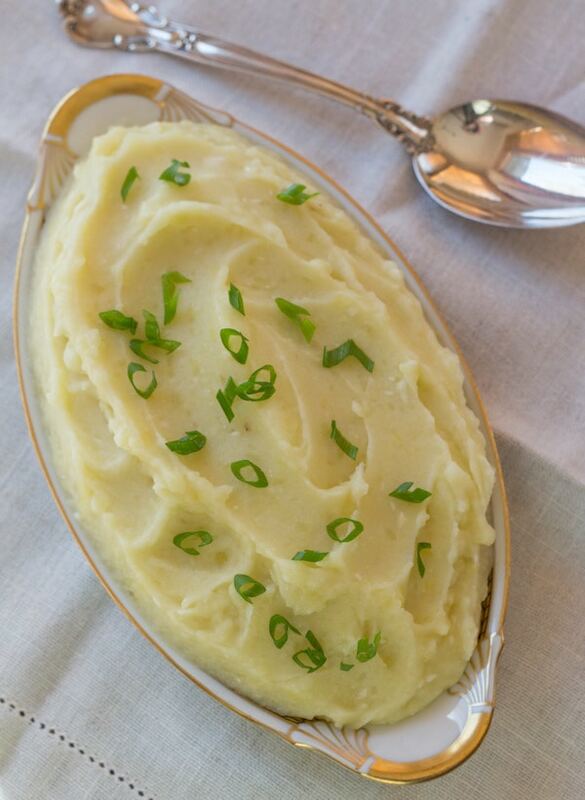 An entire bulb of garlic goes into these roasted garlic mashed potatoes and because the garlic mellows in the roasting, the garlic flavor is mellow too. If you use a second bulb of garlic, your potatoes will have an even deeper mellow garlic flavor. How do you make super-moist potatoes vegan and dairy free? Use olive oil and pure coconut milk. Coconut milk?!! 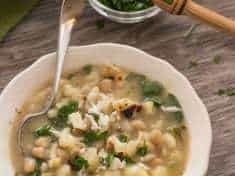 The mild coconut flavor vanishes into the garlic, salt and olive oil, and no one can guess the secret ingredient. Creamy dreamy and vegan! Can you cook potatoes for mashed potatoes in the pressure cooker? Yes! My Mom always cooked her potatoes in the pressure cooker. I include directions for Instant Pot pressure cooker roasted garlic mashed potatoes in the recipe instructions. 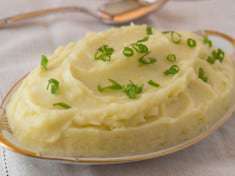 Yukon gold and russet potatoes have low moisture and high starch content—both make excellent mashed potatoes. Roasted garlic mashed Yukon golds have a pretty pale yellow color. An old-fashioned hand-held potato masher whips up the fluffiest potatoes. A food processor whips them too much—makes them gummy. My in-laws beat their potatoes with a portable mixer—a good method if you don’t overdo it. 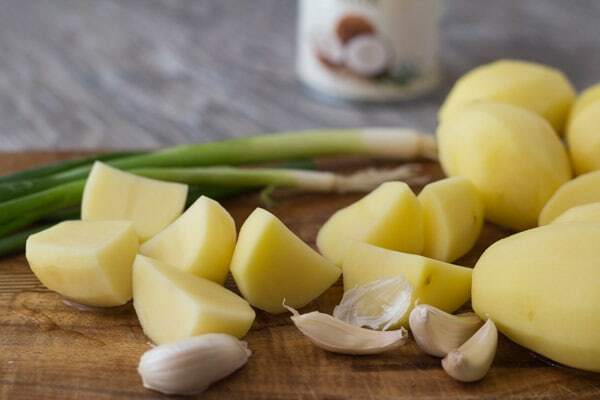 The creamy white liquid we stir into Thai curry dishes is the exact same pure coconut milk we mash into these potatoes. Lite coconut milk is fine here. Don’t mistakenly use the Coco Lopez coconut milk with sugar, that’s for pina coladas. Coconut water has no fat, and is not a good substitute. Freeze the potato skins for later, to make homemade vegetable broth. The potato boiling water is excellent soup base—save that too. If you don’t want to take the time to roast the garlic, just steam them along with the potatoes, as in this Vegan Shepherd’s Pie recipe. This salad with pears, blue cheese, and pecans always gets rave reviews at our Thanksgiving table. Thanksgiving is the day we set aside to give thanks for life’s blessings. Maybe you celebrate with family, or friends, or by donating your time in a soup kitchen. If you’re in charge of a side dish—make these roasted garlic mashed potatoes. If there is a vegetarian at your table, they’ll welcome the gesture. Make it a fabulous week! You can save this recipe on Yummly by clicking on the little circle that says Yum at the bottom of this page. 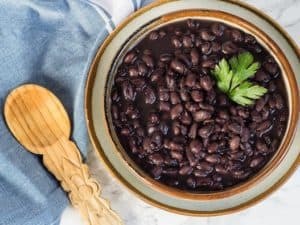 Yummly is a huge recipe collection where you can save your own family recipes, your favorite blogger’s recipes, or any other awesome recipes you find on the web! 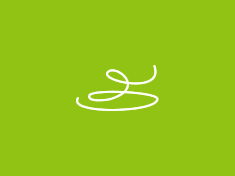 Create your account and your recipes will be saved forever. Roast whole garlic cloves ahead of time and heat them again so they're soft enough to incorporate into the potatoes. Preheat the oven to 350 degrees. Separate the garlic bulb cloves, removing the outer papery skins. Put them in a small oiled baking dish, or on a sheet of foil large enough to fold over itself and the garlic. Drizzle with the first teaspoon of olive oil. Add a couple of tablespoons of water. Cover tightly or fold the foil over and crimp the edges. Bake for about 45 minutes, until the garlic is completely soft inside. Place the potatoes in a steamer basket in the cooking pot. Add 1 cup of water. Lock the lid in place with the vent in the sealed position. Use the manual setting and set a 7 minute cooking time. Carefully turn the vent for quick release. When the valve drops, remove the lid. Remove from steamer, reserving cooking water. Mash with a potato masher. Slip the soft garlic from the skins and mash into the potatoes. Gradually beat in the warm coconut milk, mashing well, until the potatoes are smooth, light and moist. Season with salt and plenty of freshly ground pepper. Taste, adding more salt if you think it’s needed. Garnish with sliced green onions. Put the quartered potatoes in a large saucepan. Cover with cold water, sprinkling in a teaspoon of kosher salt. 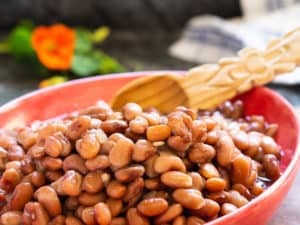 Bring to a boil and simmer until the potatoes are tender when pierced with a fork, 20 to 35 minutes, depending on size. Drain the potatoes, saving the potato water for another use—like soup stock. Mash with a potato masher. Slip the soft garlic from the skins and mash into the potatoes. Gradually beat in the warm coconut milk, mashing well, until the potatoes are smooth, light and moist. Season with the salt and plenty of freshly ground pepper. Garnish with sliced green onions. Serve immediately. ** This recipe is an update of the roasted garlic mashed potatoes I posted in October 2010, on my old muffintalk.wordpress.com blog. No photos back then. There are delicious! 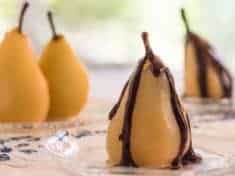 I made them the other night and were the perfect side dish.